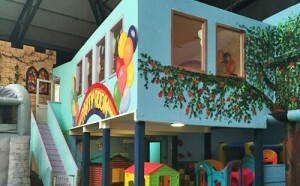 children’s soft play and activity centre. 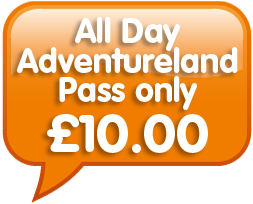 Make a day of it and buy our ALL DAY PASS into Adventureland. The pass allows all day entry and includes one FREE fairground ride, a bar of rock and 10% discount at all our food outlets. And of course entry is free for all adults accompanying children. 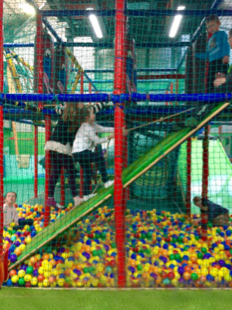 Adventureland is New Brighton’s biggest and best children’s play and activity centre that is suitable for toddlers to young teens (a 5′ maximum height restriction applies). Adventureland’s newest additions include a separate Disco Room with music smoke and laser lighting, a football area to shoot and score goals and Giant Inflatables from America including a huge bouncy rainbow slide/adventure play inflatable and a fantastic play inflatable featuring a ship being wrestled by a giant octopus; very Pirates of the Caribbean! So come rain or come shine your little tykes WILL have a good time! 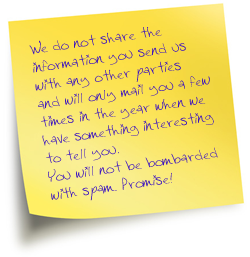 Have your kiddies party at Adventureland – fully catered. 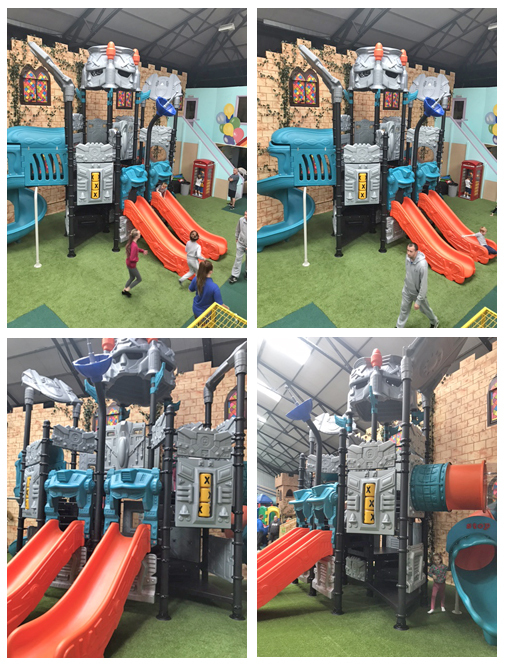 Come and clamber all over our massive climbing frame! 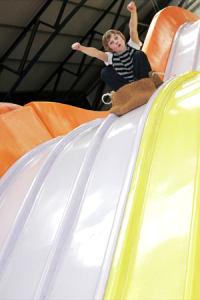 Giant 6 lane slide – over 30ft high! It is well worth the climb to the top to experience the thrill of decent on one of Britain’s highest slides. Dare you take the challenge? With 4 levels of difficulty, if you reach the top we will present you with a certificate to take home! Supervised and fully equipped with safety harnesses. 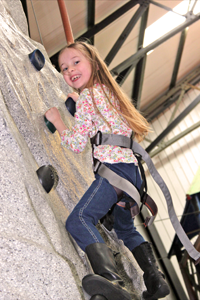 There is a charge of £1.00 per child to use the climbing wall. 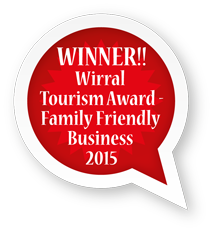 The use of all other equipment is included in the £4.00 entrance fee. Get on board our giant inflatables from America. Navigate round obstacles inside the Giant Inflatable Maize, locate the steps that lead you to the slippery slide exit. The Pirate Ship is being attacked by a monster octopus. 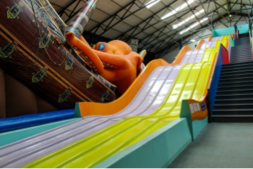 Climb on board, head for the top deck then speed down the slide to escape the giant octopus. Very ‘Pirates of the Caribbean’! 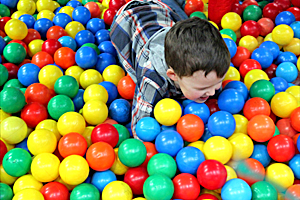 Step inside the ball pond containing thousands of colourful balls, scramble up ropes or travel down ramps and slides. Soft and safe for your toddlers. 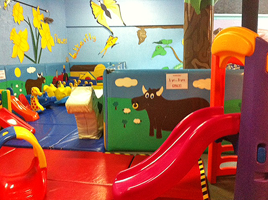 Toddlers from 1 to 3 yrs can play safely in our large cushioned and spacious play area. 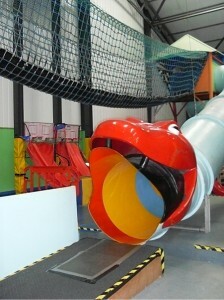 The soft play includes a large Inflatable castle. There is a Wendy House, Mini Slides, Giant Teddies, Shark and Giraffe rides, hippos and cows. They can also ride the train track on Thomas the Tank Train. Be king (or queen) of the castle for a day! 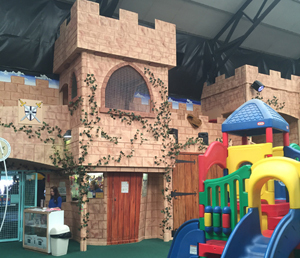 Climb the Castle Drawbridge, travel the castle walls and turrets then choose your escape route. Scramble the rope bridge and slither down the snake slide or choose the quicker exit and crawl inside then down the tunnelled slide. All the ups and downs of youngsters lives but with safety nets and padded floors. For all the budding builders out there. 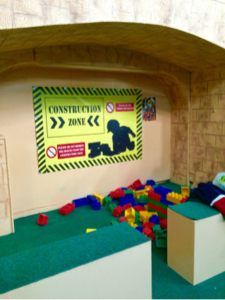 No quotation required – just build! 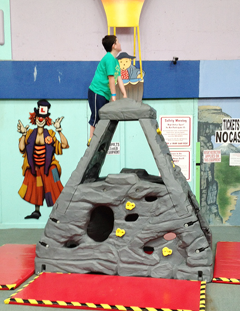 If you are too small to experience the tall climbing wall we have provided a mini climbing wall for kids over 4 years. Music, light display and smoke. 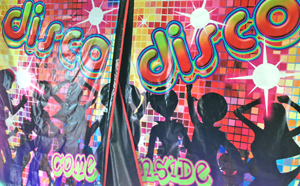 Dance yourself dizzy in the separate disco room. 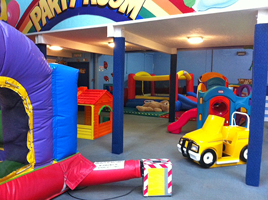 Hire the whole area for private bookings to make your children’s parties really special! Throw the best throws and reach the highest score. 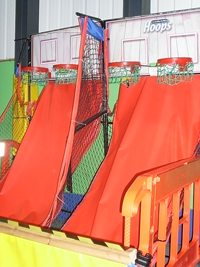 Practice on one of our 3 basketball nets and be the champ of the hoops. 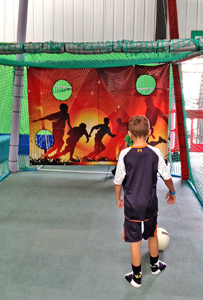 Smash goals into the net like Rooney in our goal shoot area. 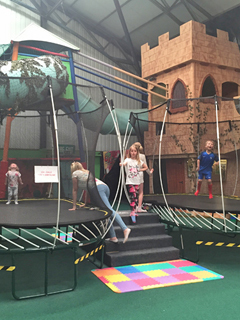 Soar high up into the air safely on one of 2 separate Giant Trampolines both equipped with high safety nets. 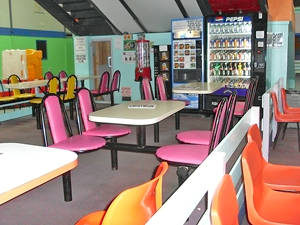 And if you’re finding it a bit tiring watching your kiddies run around enjoying themselves then you can relax with a hot or cold drink in our spacious seating area.